Chrysler (FCA US LLC) is recalling 7,929 model year 2019 Dodge Challengers, Chargers and Chrysler 300s. Chrysler has notified owners, and dealers will update the instrument cluster software, free of charge. The recall began April 8, 2019. Chrysler (FCA US LLC) is recalling 52 model year 2019 Jeep Wranglers and Ram 1500s. The vehicles have improperly machined steering column stub shafts that may break, possibly causing the steering wheel to detach from the steering column. December 26, 2006 Chrysler is recalling 62,400 2007 Chrysler, Dodge and Jeep vehicles because the braking system may fail to work. The recall includes 62,369 model-year 2007 Chrysler Sebring, Chrysler 300, Jeep Commander, Jeep Compass, Jeep Grand Cherokee, Jeep Liberty, Jeep Wrangler, Dodge Nitro, Dodge Magnum, Dodge Charger and Dodge Caliber vehicles to re-program the system Electronic Control Unit. Dealers will inspect the ignition module and replace defective units free of charge when the recall begins in July 2010. Chrysler (FCA US LLC) is recalling 100 model year 2017 Pacifica Plug-in Hybrid Electric vehicles (PHEV). The tire placard on the recalled vehicles incorrectly lists the seating capacity as six occupants rather then seven, with a combined weight of 950lbs rather than 1,100lbs. Chrysler (FCA US LLC) is recalling 1,425,627 model year 2011-2014 Chrysler 200s; 2010 Chrysler Sebrings; 2010-2012 Dodge Calibers; and 2010-2014 Jeep Patriots, Compass and Dodge Avenger vehicles. The Occupant Restraint Control (OCR) module may short circuit, preventing the front and side air bags and seat belt pretensioners from deploying in the event of a crash. 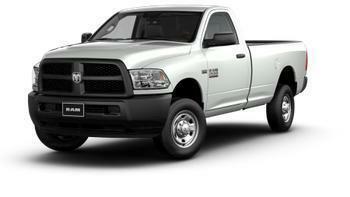 Chrysler (FCA US LLC) is recalling 64 model year 2015 RAM 2500 trucks, and RAM 3500 trucks and cab chassis. The vehicles may have inadequate welds securing the front track bar frame brackets, possibly resulting in the bracket components separating from the frame. If the bracket components separate from the frame, the vehicle may have a reduced response to steering input, increasing the risk of a crash. Chrysler will notify owners, and dealers will weld on a new track bar frame bracket or replace the frame of the vehicle, free of charge. The manufacturer has not yet provided a notification schedule. Owners may contact Chrysler customer service at 1-800-853-1403. Chrysler's number for this recall is S58. Chrysler is recalling about 26,000 Dodge Durango SUVs because of possible fuel leaks from the filler necks of their gas tanks. Vehicles affected by the recall are from the 2005 model year. "Fuel leakage in the presence of an ignition source can result in a fire," the National Highway Transportation Safety Administration said. Late last year, Chrysler recalled about 600,000 Durango and Dodge Dakota pickup trucks from the 2000-2003 model years in December because their wheels could fall off. February 7, 2005 Chrysler is recalling about 26,000 Dodge Durango SUVs because of possible fuel leaks from the filler necks of their gas tanks. Embattled carmaker Chrysler is cutting its losses, closing its auto assembly plants for at least 30 days, and hopes the U.S. government throws it a lifeline. The company had already scheduled a two week furlough for assembly line employees. This move simply extends it for at least another two weeks. Of course, what happens after that is far from certain. "If I were a Chrysler worker, I'd be worried that the plant won't reopen," said Brian Johnson, an industry analyst at Barclays Capital told the Washington Post. As many as 46,000 Chrysler employees are affected by the move, which begins Friday. The affected plants will not resume production before January 19. If production resumes at all depends on what happens with negotiations between Congress and the White House. Chrysler says it needs at least $7 billion to get through the month of December. After Congress deadlocked over a plan to rescue all three U.S. carmakers, the Bush Administration signaled its intention to step in with some sort of emergency loans, supporting the companies until President-elect Barack Obama and the new Congress take office. Obama has said he is unwilling to let the Big 3 fail. Democrats, who generally support a Detroit bailout, will have additional votes in the new Congress. Chrysler isn't the only automaker to idle workers at the end of the year. Ford says it will halt production in January for an extra week and General Motors reported last week that it will temporarily close 20 of its factories. All the carmakers cite dramatically lower consumer demand as the reason for curtailing production. Sales of all vehicles, both foreign and domestic, have fallen dramatically since September, when the U.S. economy seemed to suddenly grind to a halt. Chrysler (FCA US LLC) is recalling 30 model year 2016-2017 Ram 1500 trucks. The differential pin retaining screw may come loose during driving, potentially causing the differential to break or lock up. Chrysler (FCA US LLC) is recalling 26,299 model year 2015-2016 Chrysler Town & Country, Dodge Grand Caravan vehicles manufactured July 31, 2015, to April 18, 2016; 2016 Dodge Journey vehicles manufactured August 17, 2015, to January 29, 2016; and 2016 RAM ProMaster vehicles manufactured August 15, 2016, to April 15, 2016. The transmission pump may seize causing a loss of hydraulic pressure. Chrysler (FCA US LLC) is recalling 17,116 model year 2014 Dodge Challengers, Chargers, Durangos, Chrysler 300s, and Jeep Grand Cherokees equipped with a 3.6L engine and a 160 amp alternator. The alternator may fail suddenly, causing the vehicle to stall without warning, increasing the risk of a crash. Chrysler will notify owners, and dealers will replace the alternator, free of charge. The recall is expected to begin January 10, 2018. Chrysler (FCA US LLC) is recalling 412,855 model year 2014-2015 Jeep Cherokee and 2015 Chrysler 200, Jeep Renegade and RAM ProMaster vehicles equipped with 9-speed automatic transmissions. The transmission sensor clusters may have insufficient crimps in the transmission wire harness, and as a result, the transmission may unexpectedly shift to neutral, increasing the risk of a crash.